Enzootic nasal tumor (ENT) is a contagious neoplasm associated with enzootic nasal tumor virus (ENTV), which may induce disease in sheep (ENTV-1) and goats (ENTV-2). 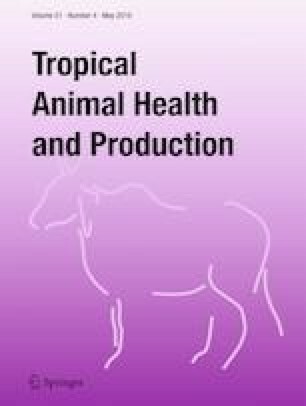 This study aimed to describe the occurrence of ENT in two Texel sheep (Ovis aries) from a 75-sheep flock, located in the city of Gravataí, southern Brazil. Animals used to be purchased from different origins, and no specific tests for disease monitoring or quarantine procedure were performed. Affected animals presented respiratory distress, anorexia with severe weight loss, and mucopurulent unilateral nasal discharge. Necropsy was performed in both animals and nasal cavity masses were observed. Histopathological analysis demonstrated an epithelial neoplasm compatible with nasal adenocarcinoma. PCR using a protocol that amplifies a 591 bp sequence of 5’LTR-gag region of ENTV1 was performed followed by DNA sequencing. Both samples were positive, and the sequences obtained presented highest identity (97%) with ENTV strain TN28 (GenBank accession number MH899613) detected in a Texel sheep from Scotland. This is the first report of ENTV-1 leading to enzootic nasal tumor in sheep in Latin America, which confirms the presence of the retrovirus in sheep flocks in the Brazilian territory. This study was funded by Brazilian institutes of research financial support: CNPq (Granted number 302249/2017-6) and CAPES (Granted number 88887.198087/2018-00).